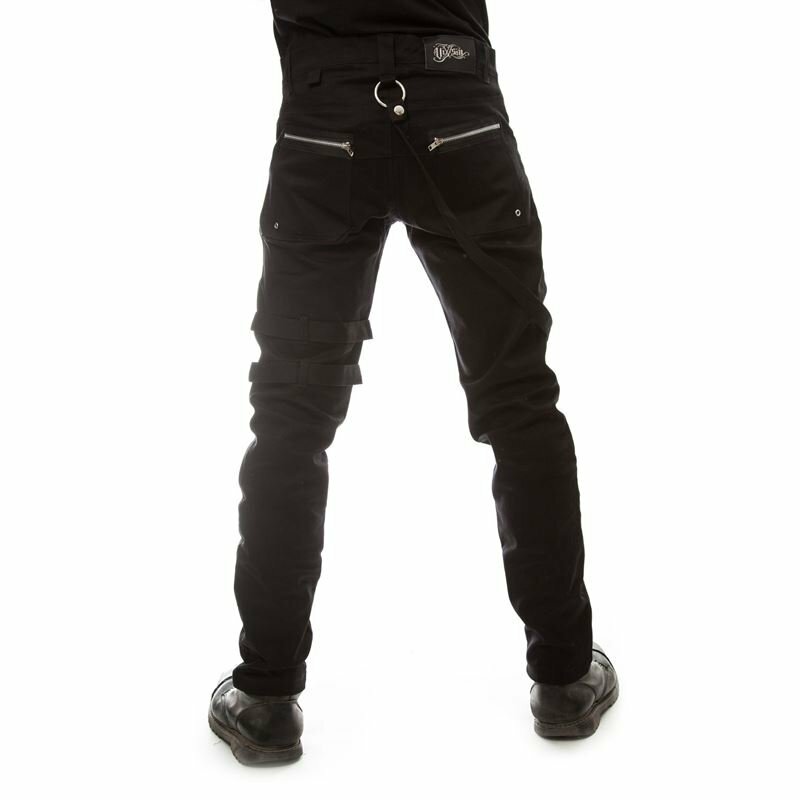 Alternative carpenter style black trousers. Waistband with button fastening and belt loops. Decorative zips to top half of trousers (front and back).Pockets to back of trousers with Zip fastenings. Straight legs.